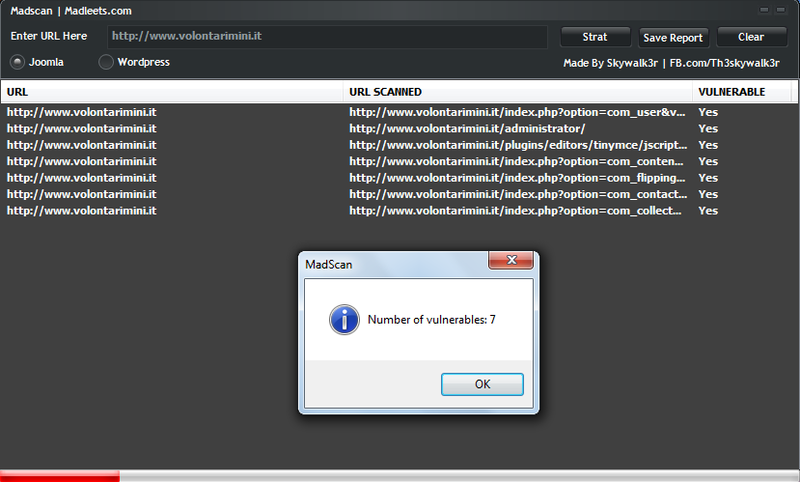 Browse: Home / Madscan beta released : Exploit scanner for Joomla and WordPress. then click on start button. After finish the scan it will give you a popup about result. Now you have to click on Save Report . ← SQLI Hunter v1.2 released: An automation tool to scan for an Sql Injection vulnerability.